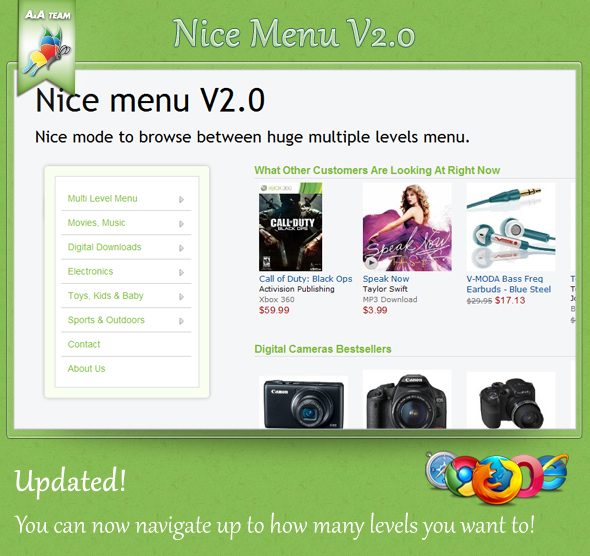 Nice Menu V1.0 Created by AA-Team. This templates have specific characteristics, namely: UPDATED VERSION V2 . You can now navigate up to 6 sub-levels! Or if you want to even more! A new way to slide between multiple level huge menu.